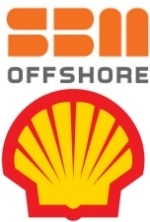 édité le 17/01/2018 - Plus de news de "SBM OFFSHORE" - Voir la fiche entreprise de "SBM OFFSHORE"
After an operational transition period, SBM Offshore and Shell E&P Offshore Services B.V. (Shell) have completed the transaction related to the sale of FPSO Turritella. Both companies have worked successfully together to ensure a safe and controlled handover of operations.The financial impact of this transaction on the SBM Offshore accounts remains in-line with earlier disclosures. SBM Offshore provides floating production solutions to the offshore energy industry, over the full product life-cycle. The Company is market leading in leased floating production systems with multiple units currently in operation and has unrivalled operational experience in this field. The Company’s main activities are the design, supply, installation, operation and the life extension of Floating Production, Storage and Offloading (FPSO) vessels. These are either owned and operated by SBM Offshore and leased to its clients or supplied on a turnkey sale basis. As of December 31, 2016, Group companies employ approximately 4,750 people worldwide. Full time company employees totaling c. 4,250 are spread over five regional centers, ten operational shore bases and the offshore fleet of vessels. A further 500 are working for the joint ventures with several construction yards. For further information, please visit our website at www.sbmoffshore.com. Voir la fiche entreprise de "SBM OFFSHORE"
Les dernières news de "SBM OFFSHORE"
Toutes les news de "SBM OFFSHORE"